Laura Russell • Simply Books, Ltd. / Hit The Road Two! Hit the Road Two! 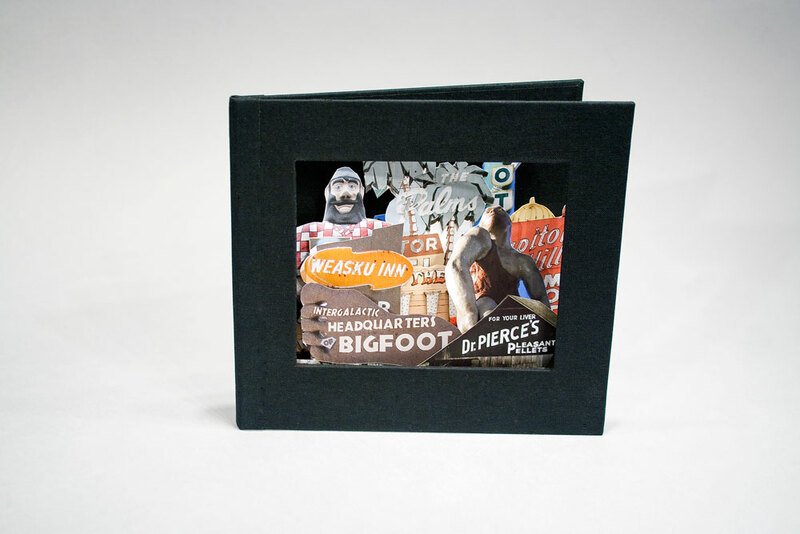 is volume two, Oregon, in a series featuring each of the three states that carry Highway 99, the former main corridor that runs all the way through Canada to Mexico. 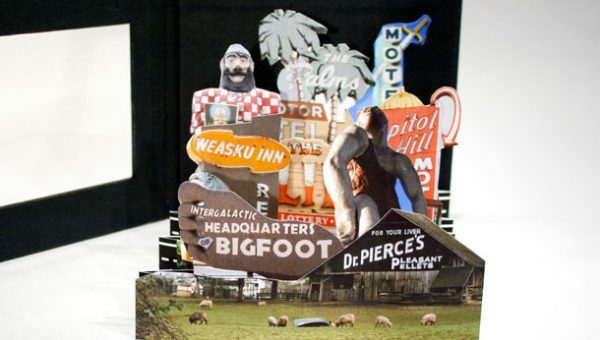 The artist traveled the entire length of Highway 99 through Oregon to photograph and catalog the state’s roadside attractions. Oregon was a difficult state to document. Most of Highway 99 was obliterated by I-5 in the mid-1960s leaving behind a twisted, broken road and few vestiges of our automobile and highway culture. Check out Hit The Road volume one, Washington, here. 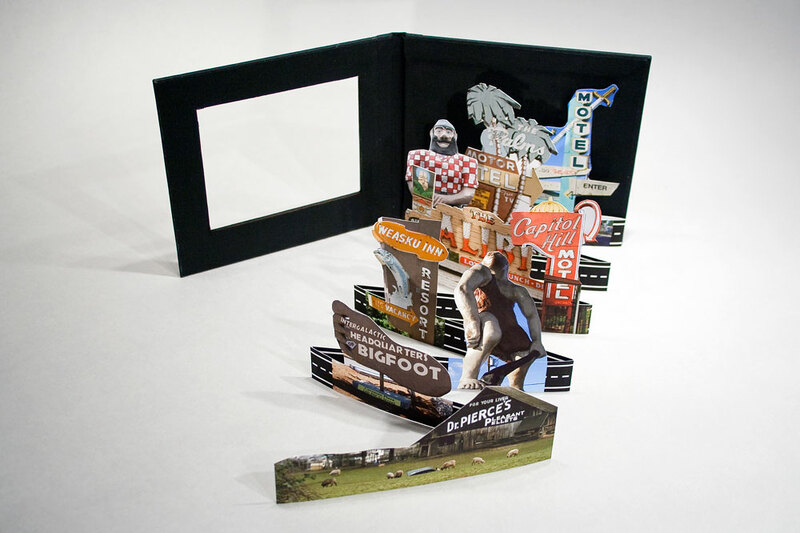 Accordion fold “road” nestled in a case-style cover with a window features original photographs by the artist. Archival pigment prints on Red River Polar Matte paper. 7 x 6.25 x .5 inches (17.78 x 18.875 x 1.27 cm). 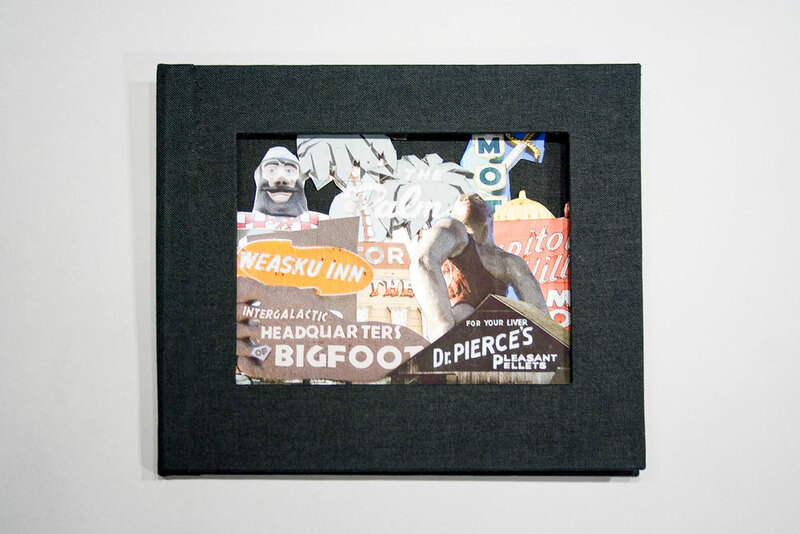 Edition of 10. 2013.